How difficult it is sometimes to write about certain things, despite how easy it is to read and identify yourself with what others have written about it. 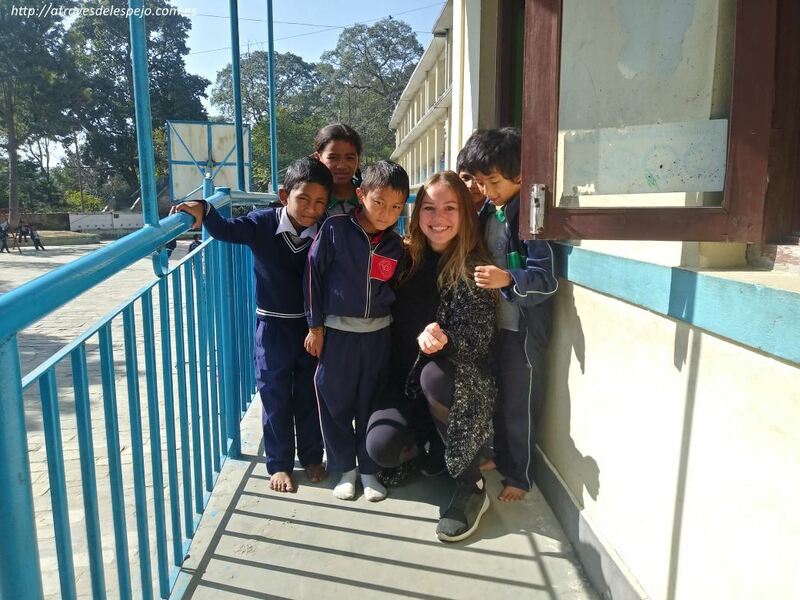 Reading what Bea de Patxi, founder of Samsara Nepal , said about her recent visit to the Bungamati school, sharing time and sensations with the sponsored kids, one cannot help but get emotional. Its been almost 4 months since we visited the school, one morning at beginning of December, accompanied by Ramita and Dai. This is another project pushed forward by Ear Care Nepal and Samsara Nepal. Bungamati is a Disabled Children School specialized in covering the needs of children with disabilities such as deafness, blindness, maimed, etc…but that does not stop them from developing as any other kid and learn, study and have fun. The school counts with specialized teachers to support the students in every aspect. The day we visited them has been imprinted in my memory. It may not be politically correct but the first impression that I had was discomfort, a kind of rejection in the guts to try to avoid watching first hand the reality of these kids. And remembering now, it did not come by any means from them. It was all inside of me. It was feeling ashamed of myself, for how we look elsewhere on our everyday life, of how selfish I can be sometimes. It was a reality bite about how fast I forget the value of being able to enjoy the views of a landscape, listening to a song, being writing this text right now or having the chance to go out to run or jump and enjoy moments with my family. It was a lesson about how to live and it was a gift from them. There we met Renuka, Bumika, Retika, Shandesh, Rhatika,… we talked with Sogna, the teacher, and more students. And we also played and sang songs. And that discomfort and shame dissolved as a sugar cube in a coffee mug and what was left was enjoying the shared moments with them, learning how to write our names in braille, singing traditional songs together and pretend we knew how to play guitar, talking with the older ones and get to know what they want to study and become in the future. 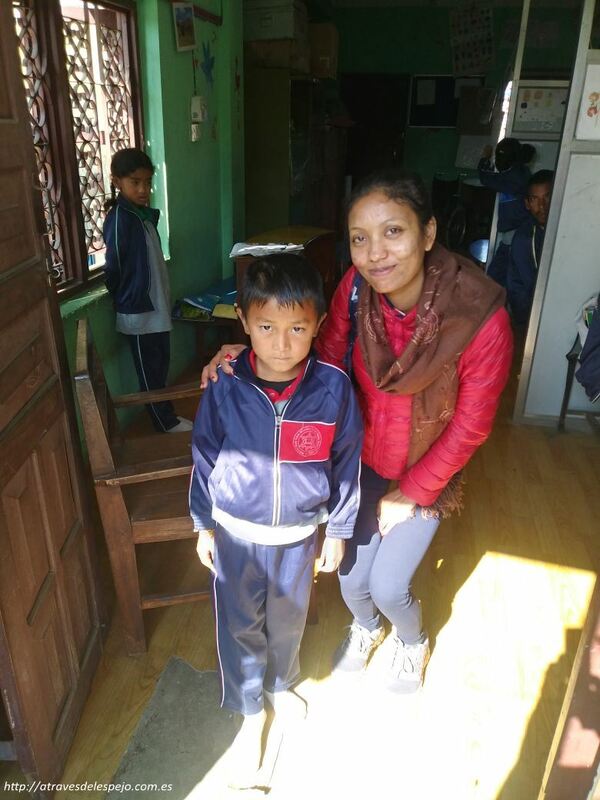 Ear Care Nepal and Samsara Nepal support these kids through different projects like ALI. Sogna Bramhachrya, the teacher, has been prepared through the best techniques and formation possible to carry on her responsibilities and take care of the kids not only from the educational perspective but personally and emotionally as well to make them feel best. I have always asked of her to be our hands, our eyes and above everything, our heart as we are not there for a lot of months and she has really delivered it. “I feel like they are my children. I have the responsibility to help them become good at any subject”. And here is a description of each one of them from Bea, that talks about them gracefully, much better than what I could do. Nowadays there is Kolapa 15 years old, Renuka 10 years old, Bumika 8, Ajus 7, Prayana 6 y Retika 3. Kolapa has a psychic functional diversity and she is very limited for learning. That is why she is still in the same class but helps the teacher as assistance. She plays with didactic toys and she loves every new thing. She has learned to take care of herself and she is very affectionate. Renuka is very smart and this year she was taking exams to move forward to the next course. She is well adapted although it was tough. She still gets very nervous when facing the exams even though she knows the answers. She also likes learning a lot. She is sponsored. Bumika is the icing in the cake. Smarter than diligent, sharp and loving when she wants and with a lot of character. She will reach whatever she aims for. She is a cutey that sings anytime and does it very well. She is sponsored. Ajus is a kid with serious disabilities but he gets back home very day and that helps him a lot. He usually practices with didactic material with a diversity of textures and shapes. He is a very diligent kids. Prayana ( the apple of my eye) is tenderness embodied, modest, calm, disciplined and diligent. She is still very young but she is already on braille exercises in both English and Nepali. Her presence is soothing for everybody. Retika is the youngest and she is still starting to learn by playing with different textures, shapes, etc…She is still at class as if she was attending kindergarden so she can learn step by step. She is like a hurricane, always on the move, understandable being the youngest, and yet she dominates the oldest and she is very smart. There are two more sponsored kids, deaf-mute. Rhatika y Shandes. They are already going to the school with very good results. From here we can collaborate directly as volunteers (if you have formation in specialized education the better), donating material or sponsoring as well. Get the best out of every day. Don´t let yourself be beaten by discouragement. Don´t stop believing that it is possible to change the world; because no matter what happens our essence is intact.